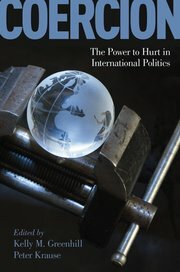 ‘Fourth Generation’ Strategic Culture: My PhD dissertation has conceptualised a fourth generation of strategic culture theory-building that is closely linked to national security concerns, occurs in a multipolar world, and considers a broader range of instruments beyond military force such as economic statecraft. Strategic Subcultures in Terrorist Organisations: My PhD dissertation has developed and tested a new conceptual theory on strategic subcultures in terrorist organisations. I have developed empirical tests for an expanded case universe. Theory–Building and Theory-Testing: My pre-doctoral research used theory-building and theory-testing to critically evaluate a range of theories in journalism, media studies, and internet sociology. In particular, I have recently paid attention to the evolution of ideas and ideologies into mobilised political and religious violence. Methodological Advancement in Qualitative, Causal Analysis: My PhD research and recent scholarship combines theory-building and theory-testing forms of process tracing with counterfactuals and event studies. I am presently exploring the Bayesian and set-theoretic roots of process tracing and other causal inference methodologies. Event Studies: Over my pre-doctoral, and doctoral research career, I have authored and co-authored a range of qualitative event studies, notably on the journalism, media, and grand strategy impacts of the September 11 terrorist attacks on Australia and the United States, and the social media network Twitter’s role in Iran’s 2009 election crisis. I will submit my PhD to Monash University on 22nd July 2019 for review. In rewriting my literature review chapter I’m reconsidering the so-called fourth generation of strategic culture scholarship. I trace this from the Jeffrey S. Lantis-authored article ‘Strategic Culture and National Security Policy‘ (International Studies Quarterly, December 2002) which integrated the mid-1990s ‘constructivist turn’ with a post-September 11 emphasis on national security policy. I regard Lantis as an important norm entrepreneur and advocate of strategic culture-informed policymaking. Lantis situates strategic culture as an evolving framework that can learn much from constructivism’s emphasis on ideas, norms, and culture. He considers under what conditions leaders might adopt strategic culture frameworks for national security analysis. This mirrored the renewal of interest in culture in Special Operations Forces fighting the Taliban in Afghanistan. Lantis provides the theory-building emphasis and policy frameworks. The SOF provides lessons in policy implementation and strategic execution. These parallel developments remain unexplored in the strategic culture literature. I’ve followed Stanford’s Amy Zegart since discovering her insightful research on analytical misperception in the United States intelligence community. Answering these kinds of questions is in part what Jack Snyder‘s original policy work on strategic culture sought to do. It’s also what Jeffrey Lantis and colleagues have done in their policy formulation advice for the Defense Threat Reducation Agency. Finally, Jerrold M. Post has published several political psychology books on individual leaders and how they interact with strategic culture. Zegart’s insight gives the so-called fourth generation of strategic culture a new relevance: (1) the proliferation of nuclear weapons to nation-states outside the Treaty on the Non-Proliferation of Nuclear Weapons; and (2) the crisis decision-making of foreign political leaders who are driven by different ideational factors: beliefs, norms, values, and worldviews. This will inform post-PhD research. CSP and their publisher Taylor & Francis have now made the article available for free here. My thanks to CSP, Taylor & Francis, and special issue editor Professor Jeffrey S. Lantis for their help in making the article available to a wider readership.